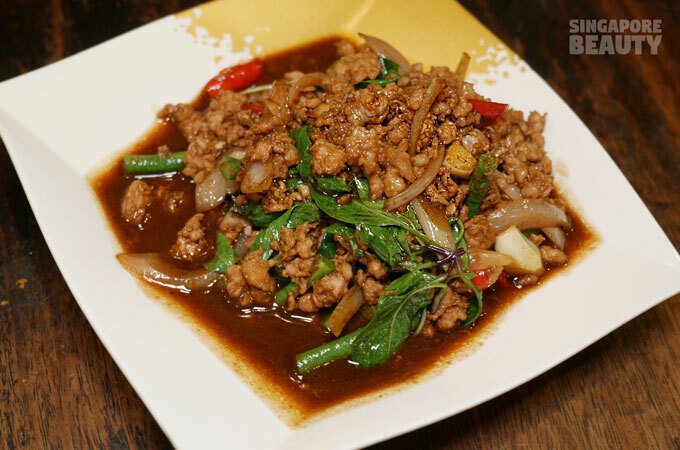 Soi 47 Thai food is known for authentic and tasty Thai style zi char without breaking your bank. 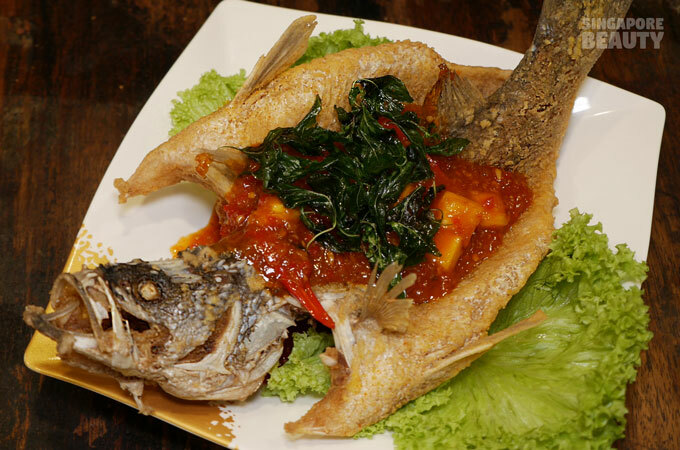 To create Thai zi char that taste heavenly without the use of MSG is a skill and Soi 47 nailed it. 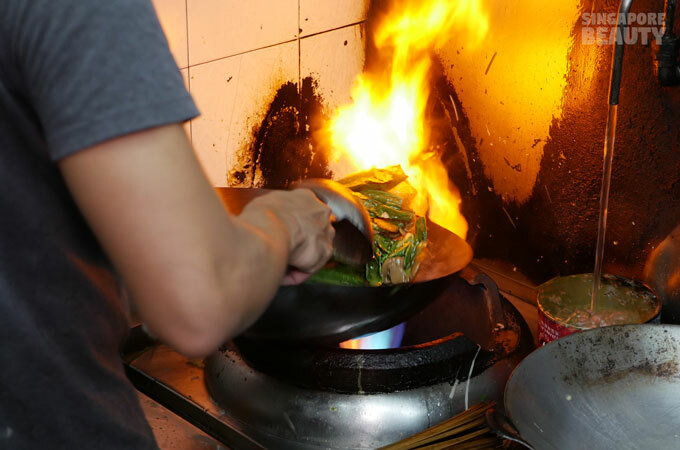 Located in a humble HDB shop unit, Soi 47 serves amazing and mouth watering zi char dishes that are cooked on the spot for each order. 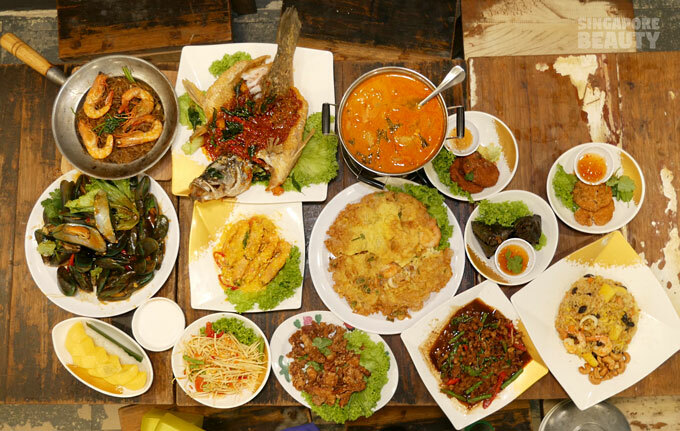 Be it a simple omelette or a personal size tom yum soup, all these dishes are cooked from scratch. 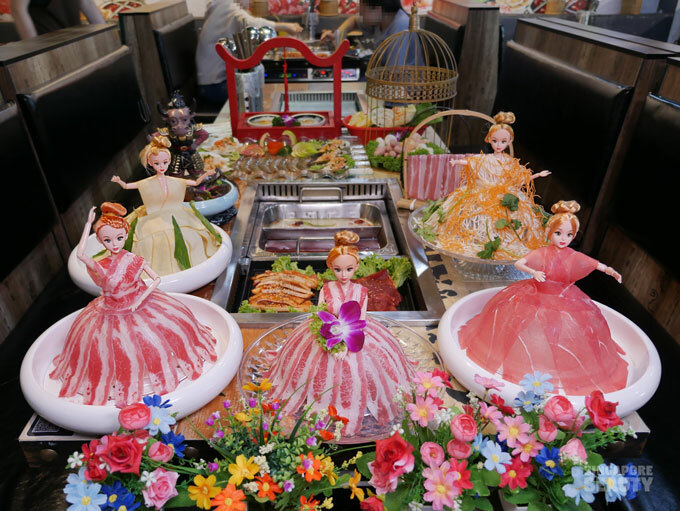 You can be assured that your dishes are served piping hot every single time. Even a simple kalian with roasted pork are stir fried and kissed by the flame to get that nicely toasted kai lan without its earthy tones. 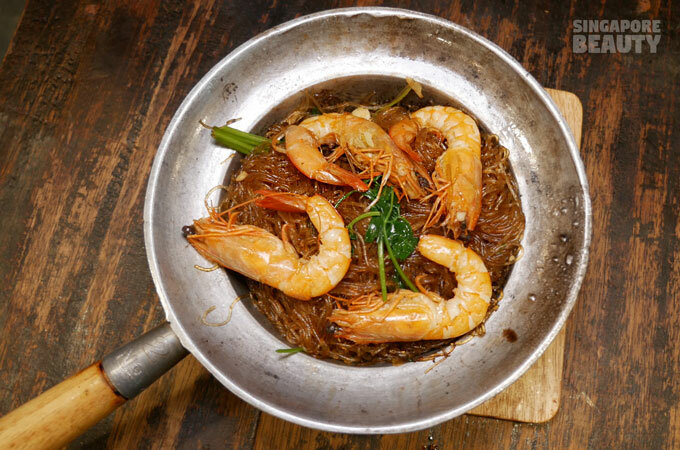 Claypot tang hoon with prawn $10 – This is one of the must order dish at Soi 47. Springy crystal clear like tang hoon braised to the right consistency with flavourful broth and served with four good size deshelled prawns. 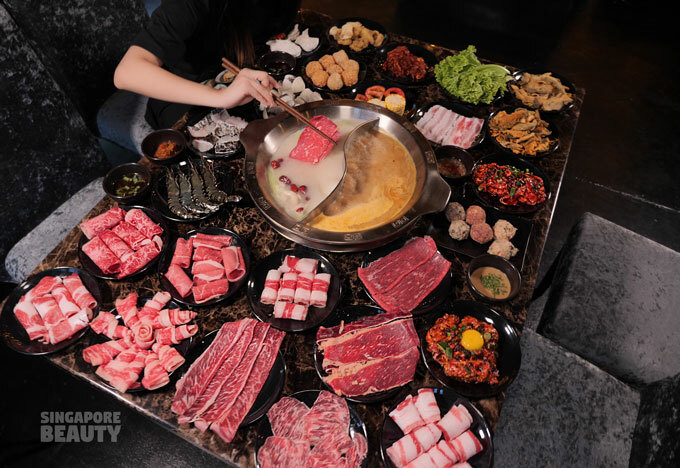 The aroma of the tung hoon with the fresh parsley caresses you in the face when you lift the lid. 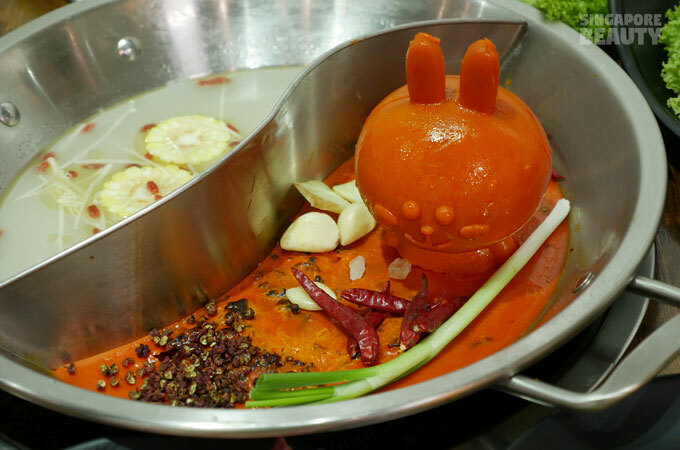 The chef has added a secret ingredient to the pot before serving. 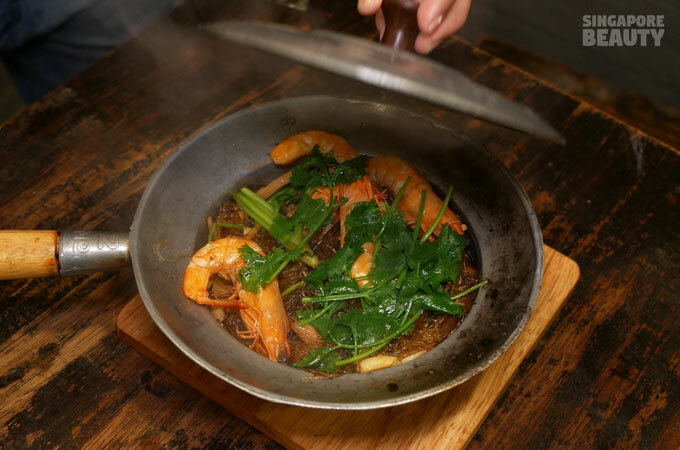 This secret ingredient – chinese wine (is renamed to protect its identity) – is drizzled around the lid into the pot to heighten the aroma of the prawn and braised tang hoon. 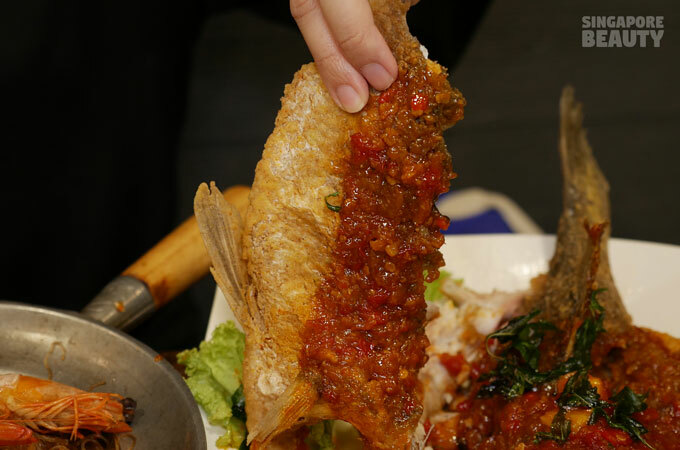 Deep fried seabass with special Thai chilli sauce $19 – The seabass is deep fried to a crisp on the outside while the flesh remain delicate and tender on the inside. 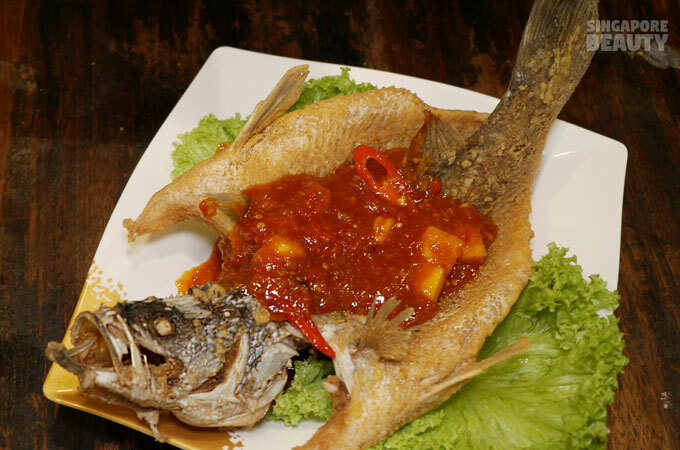 Gooey homemade Thai sweet sauce with chilli, pineapple and onions are loaded onto the savoury crispy fish. The tangy sauce is complemented by topping it off with some anise – and licorice-like crispy fried Thai basil for a refreshing take. 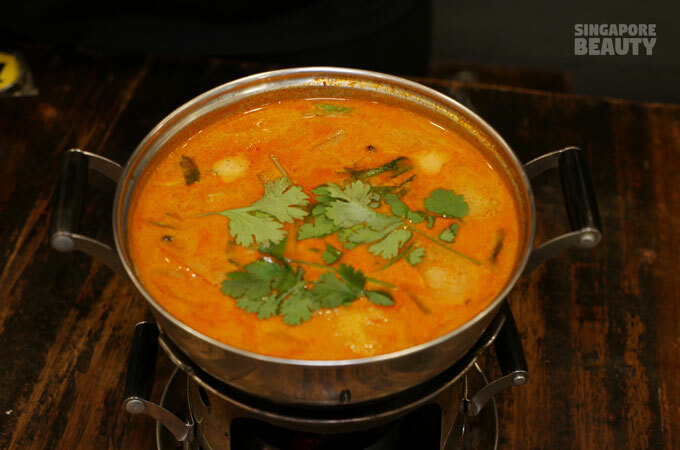 Tom Yam soup (cream style) with seafood $6.80 – Tom yam soup is always good at Soi 47 as this is one of the most popular pick in store. 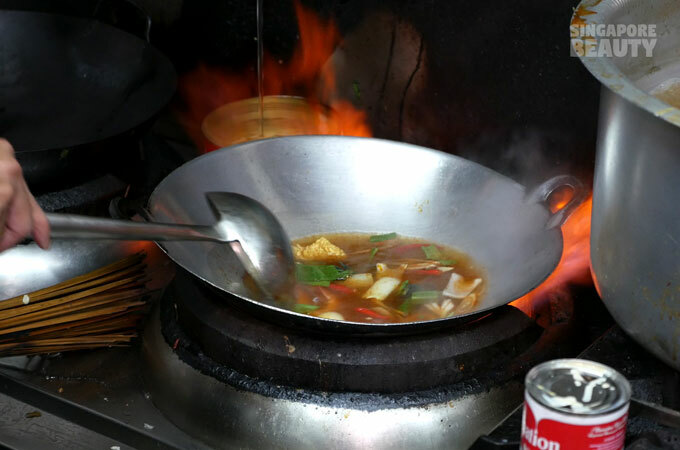 The chef has perfected the balance of tangy and heat in this soup. 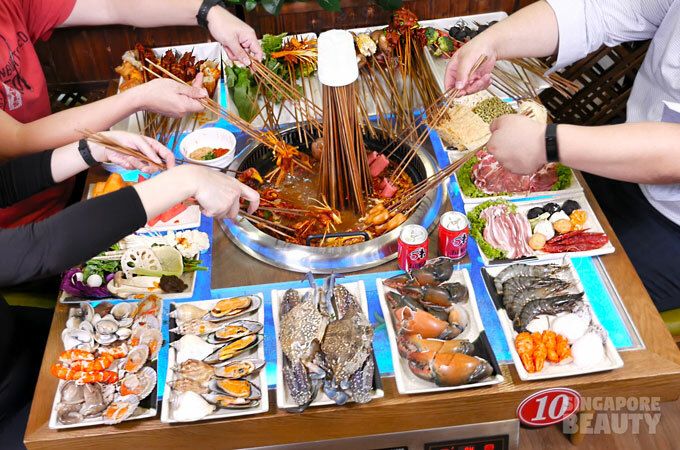 Comes with squid, prawn, battered fish, mussel, button mushrooms and loads of herbs and spices. 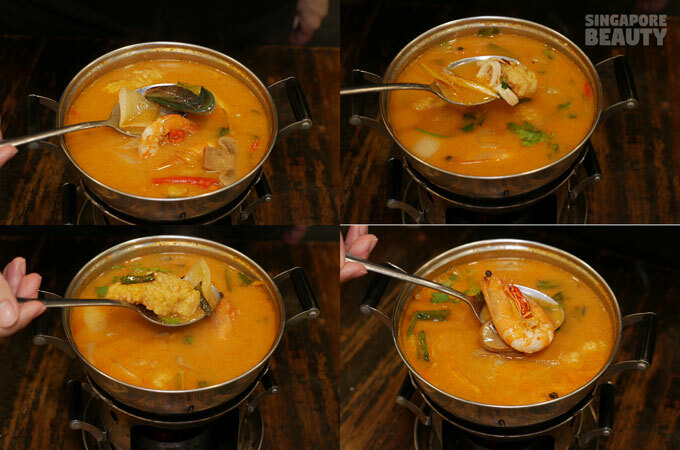 This intensely flavourful tom yam soup is good for 1-2 pax to whet one’s appetite. 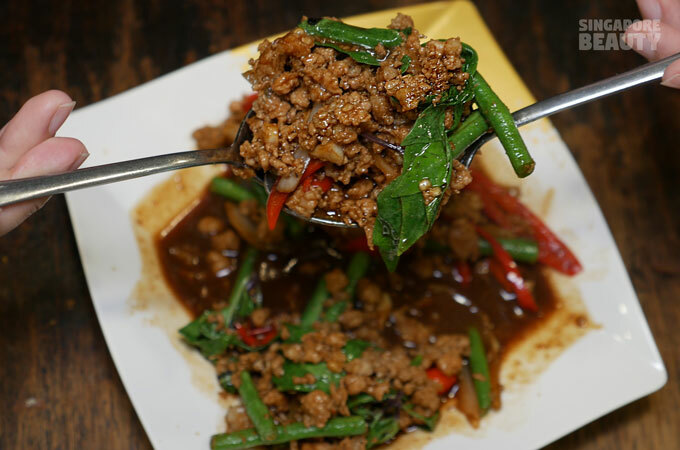 Stir fried pork with basil leaves $6.80 – Morsel of minced pork stir fried with string bean, onions, garlic cloves, chilli and a refreshing strong dose of fresh basil leaves. 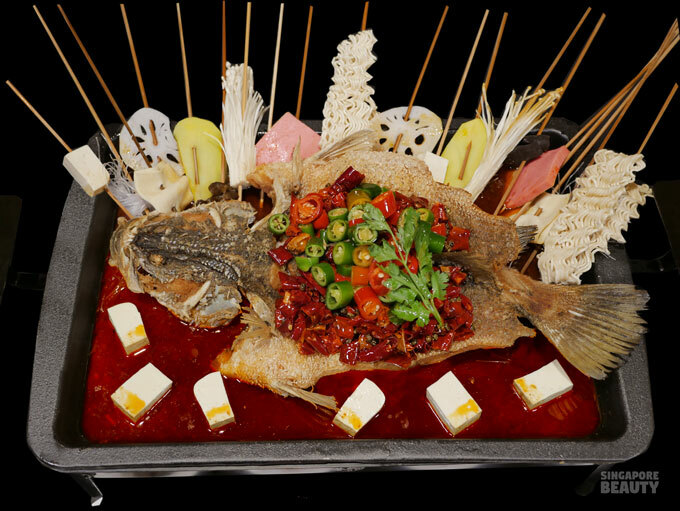 This is not the chef recommendation but you have to try it. Extremely addictive dish that goes well atop a bowl of steamed rice and maybe a fried sunny side up egg with crispy edges. 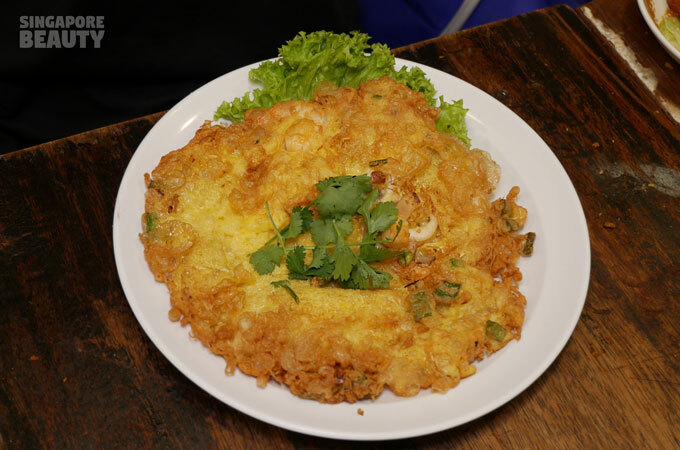 Omelette with seafood $6 – for this price you get a fluffy tasty soft Thai-style omelette with seafood (squid, prawn) and loads of flavours. 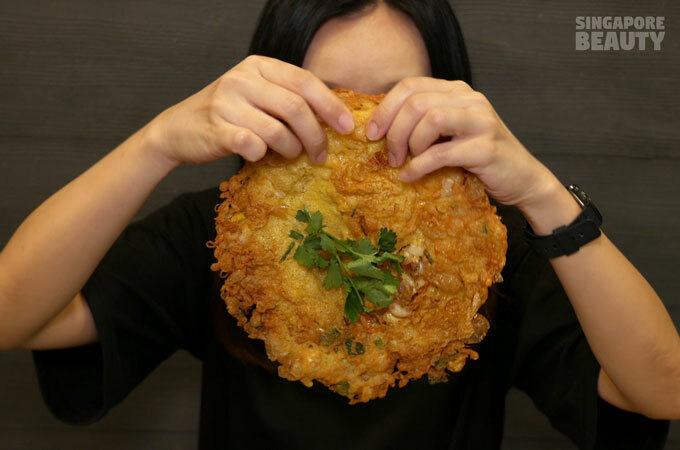 Golden cloud-like crispy edges that shouts delicious in all directions. 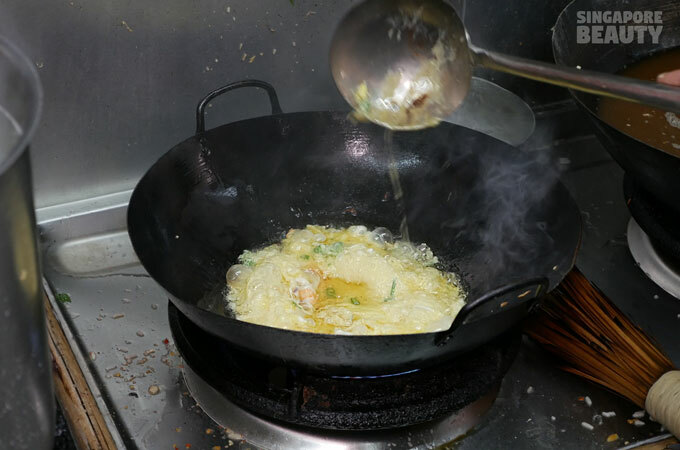 Despite being fried in a wok of smoking hot oil, this omelette does not taste overly greasy at all. This omelette is comparable to the size of an adult face and much bigger. Great as a rice topper, starter or comfort food for rainy days. 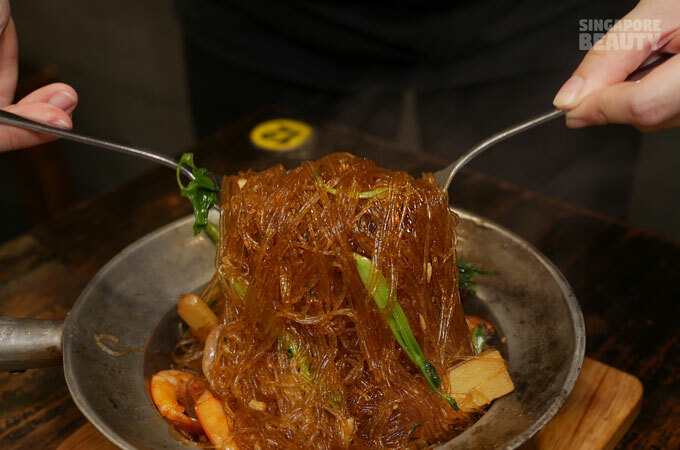 This seemingly simple dish cannot be replicated at home as a considerably large deep wok, a good amount of hot oil and plenty of patience is needed to create this cloud of happiness. I would rather sit back and get mine here then risked getting splattered upon by the hot oil. 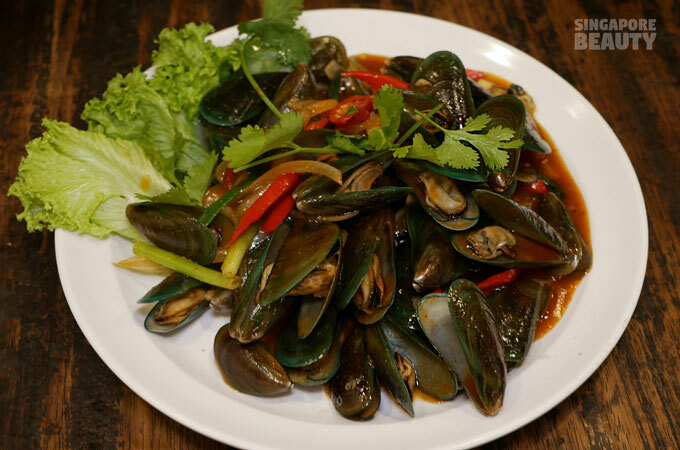 Stir fried mussel with basil leaves $10 – Succulent and custardy mussel stir fried in light savoury sauce. 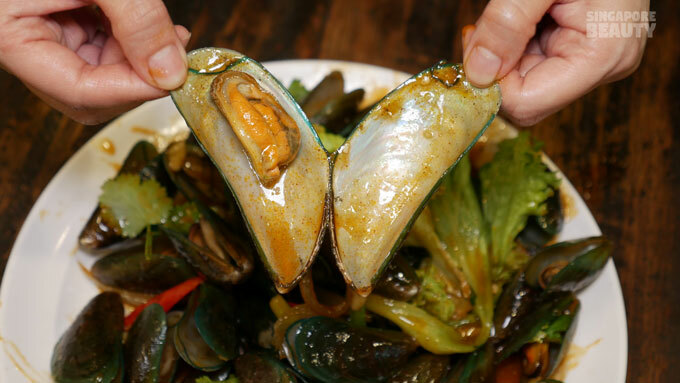 Mussels are well-flavoured and not overpowered by the sauce. You can still enjoy the briny flavours of these tender mussels. 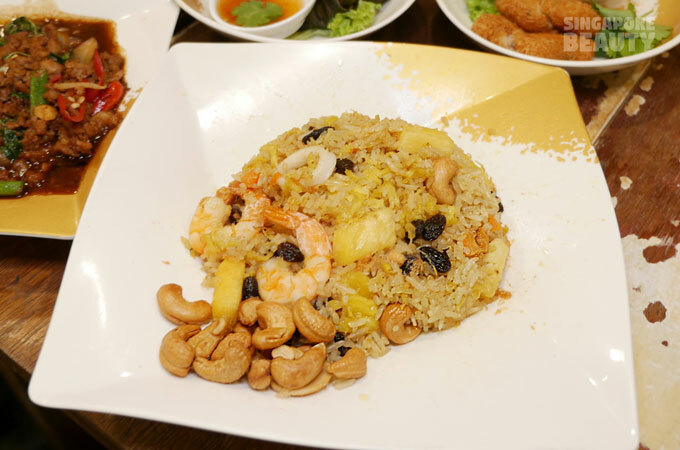 Fried Pineapple rice $6 – Rice fried with egg, pineapple chunks, squid, prawns and raisins. Topped with meat floss and cashew nuts for some extra texture. The pineapple rice is of a sweet, tangy and nutty flavour. 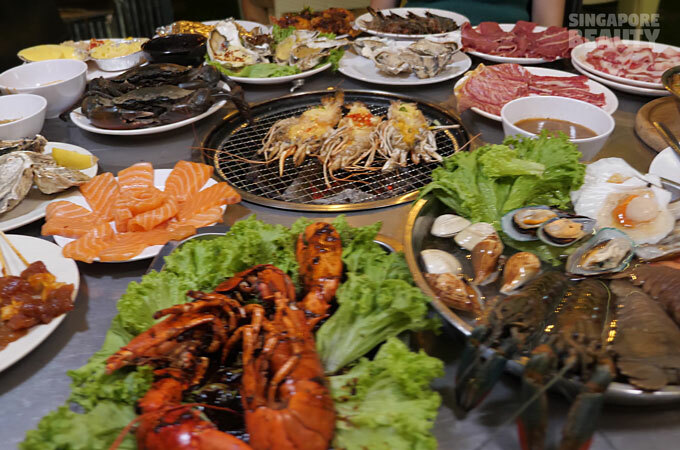 Soi 47 Thai food has a good variety of homemade finger food that is popular with their diners. 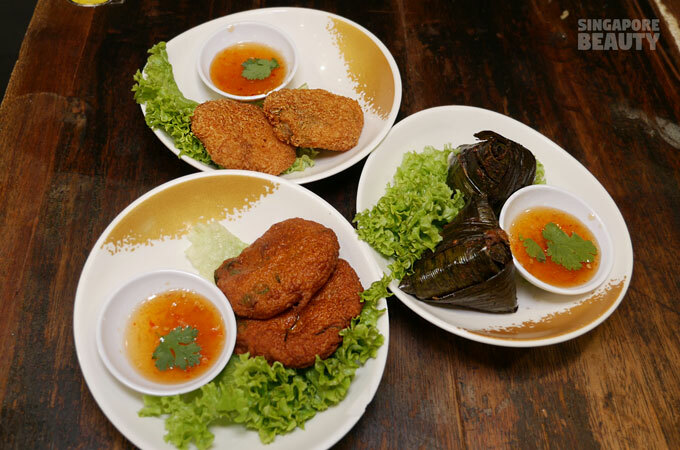 Homemade Thai fish cake, breaded prawn cake, pandan chicken at $6 each set. Comes in a set of fours, these are good size cakes for sharing before the start of a meal. 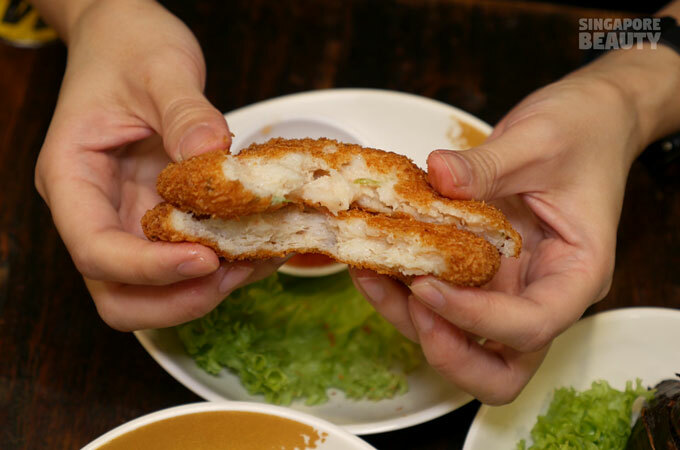 You will be glad to know these are deep fried and served hot for each order. 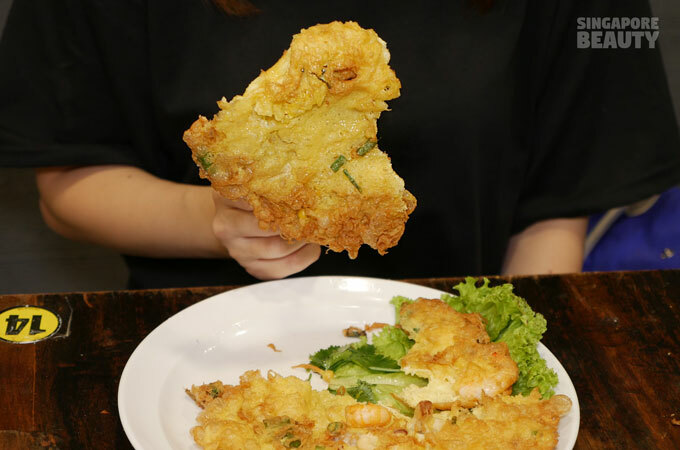 Deep fried fish cake crispy on the outside and chewy on the inside. 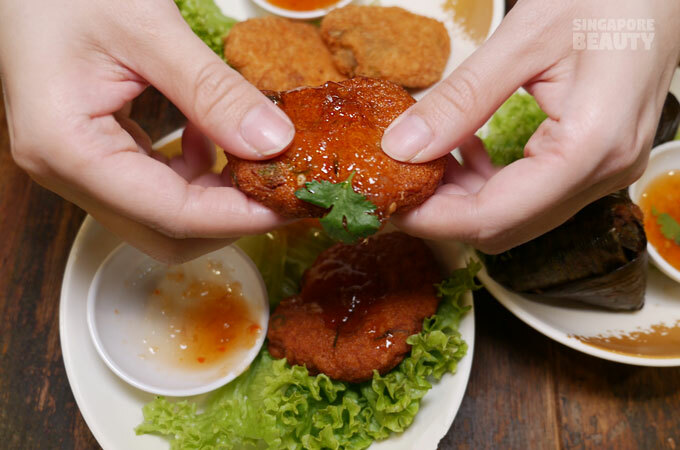 The sweet and smooth chilli sauce added a new tangy dimension to the crispy coat. 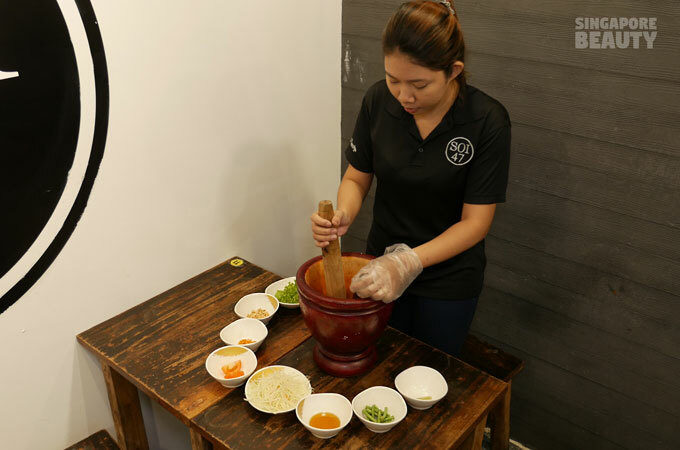 Papaya salad $3.80 – Ingredients are pounded with a pestle and mixed in a traditional mortar to infuse the juices into the papaya. 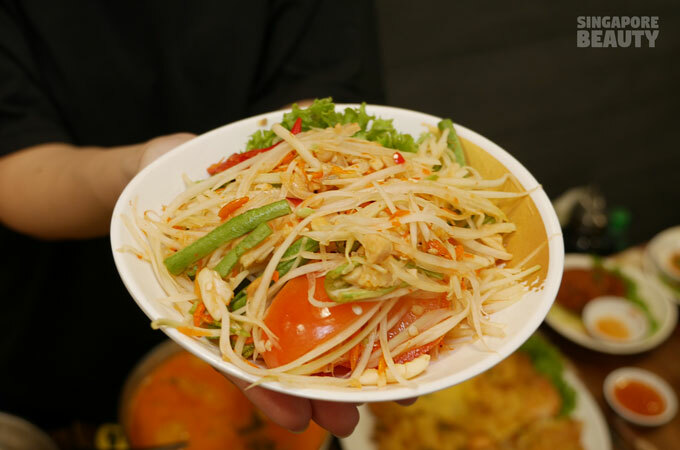 The result is a flavourful papaya salad that is tangy, savoury, spicy, refreshingly green and nutty. 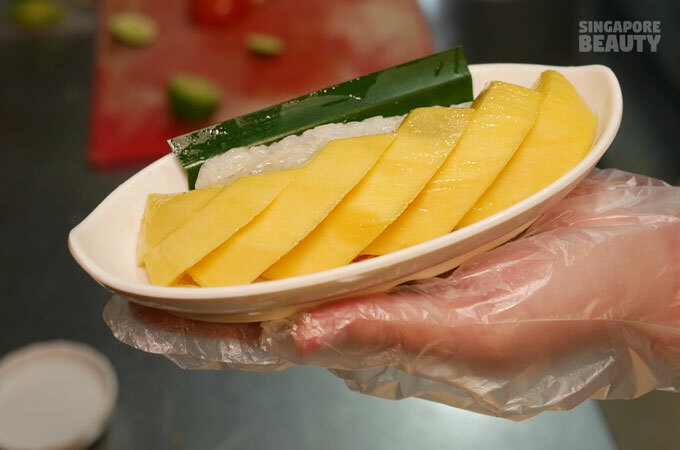 Mango sticky rice $5 – Freshly cut mango halves atop a bed of sticky, soft and chewy glutinous rice. 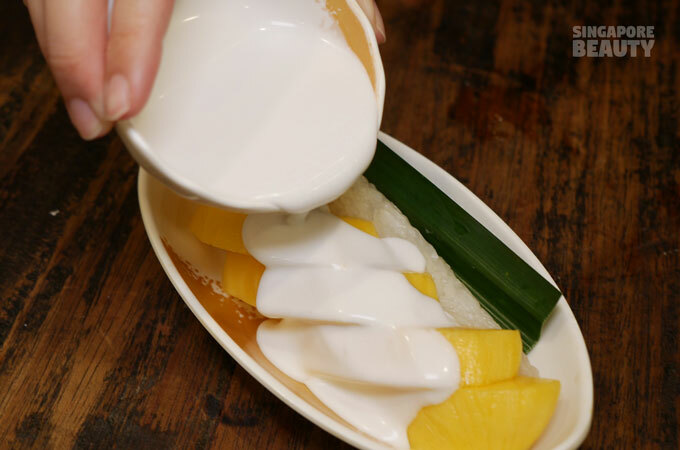 Drizzle on some sweet aromatic coconut cream for extra richness to this dessert. 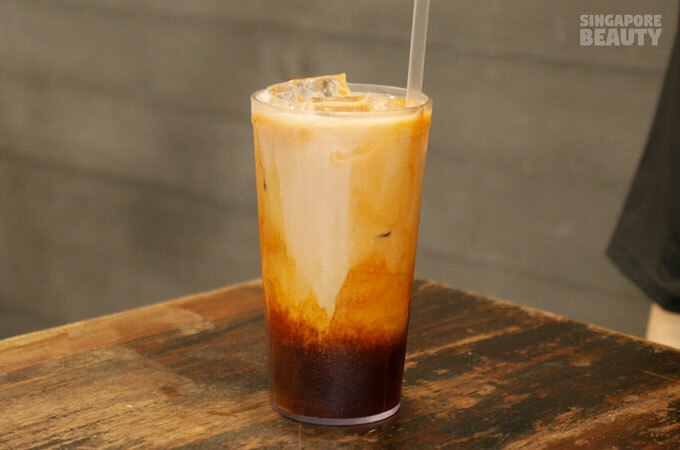 Iced Thai Milk Tea $3 – This marbled-like Thai milk tea is a concoction of carnation milk, traditionally strongly brewed Thai red tea and cane sugar. Thick, strong and aromatic like any classic Thai milk tea should be. 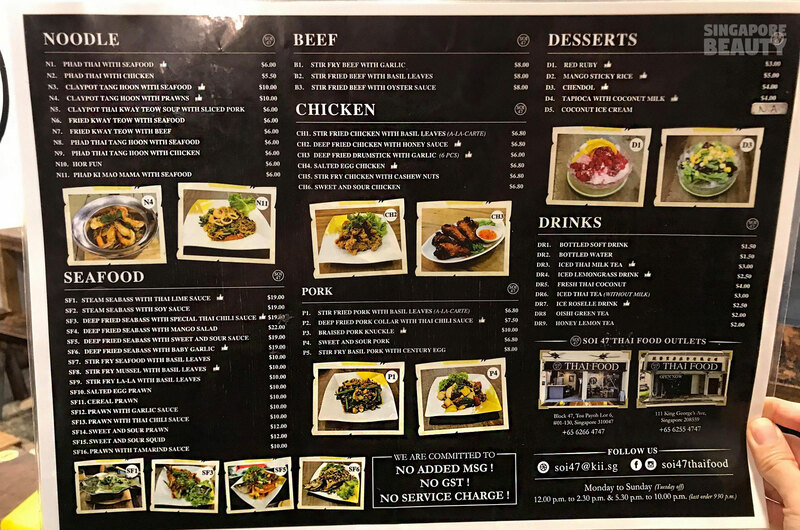 More choices are available on the menu. There is something for everyone. 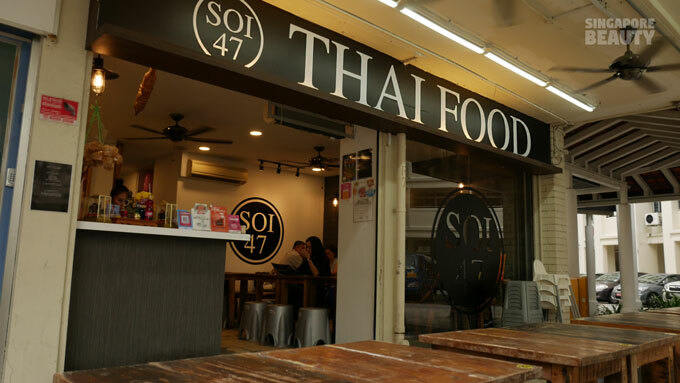 Head over to Soi 47 Thai Food (Toa Payoh branch) today for an intimate dining experience. 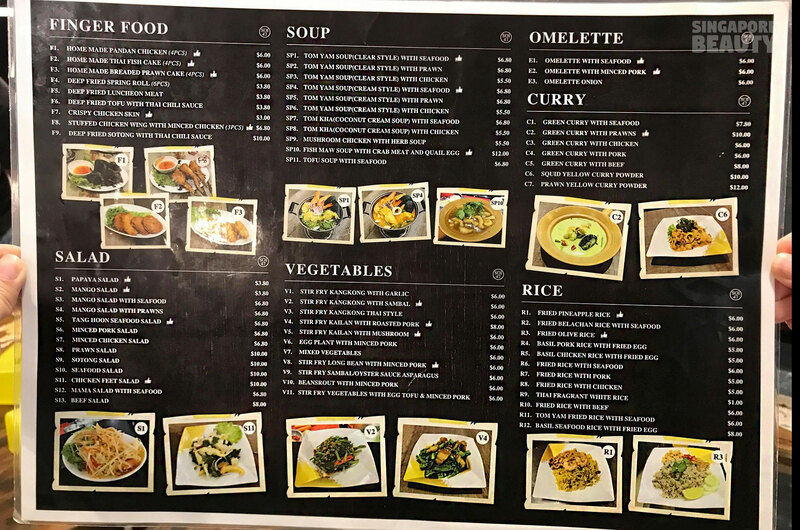 The authentic Thai a la carte restaurant with nett prices without GST and service charges. There is an open air gantry car park next to SOI 47 Thai Food for those who are driving. No GST and No Service charge. Brought to you by Soi 47.